1983 - Brenda obtains her Real Estate sales agent license and begins her career. She experiences success quickly! 1989 - Brenda obtains her Real Estate Broker's license. 1993 - Brenda hires her first part-time assistant. 1995 - Brenda's husband, Claude, and their daughter, Melissa, join as Brenda's first buyer agents. 1997 - Brenda's youngest daughter, Crystal, joins as a buyer's agent and part-time administrative assistant for website development. 1999 - Bill, Brenda's son-in-law, joins as a buyer agent creating the beginning of the Fontaine Family Team! 2000 - Clay, Brenda's son-in-law, also joins as a buyer agent. 2001 - Brenda's daughter, Angie, joins the team as a lead generator and showing/feedback coordinator. 2004 - Brenda starts hiring team members outside of the family and grows slowly and steadily each and every year. 2009 - Opens independent brokerage, "Fontaine Family - The Real Estate Leader"
2013 - Celebrated our 30 year Anniversary with a client appreciation event. 2018 - Fontaine Family - The Real Estate Leader has 7 staff members (6 of whom are licensed Realtors®) and 24 agents in our Auburn location. We have an additional licensed staff members and 15 agents in our Scarborough office. We now cover 7 counties in Maine! Fontaine has successfully helped over 6,000 families since 1983. 2019 - Celebrating 10 year Anniversary of Fontaine Family - The Real Estate Leader along with Brenda celebrating 35 years in the Real Estate business! At Fontaine Team, we’re here to help you sell your home or find your dream home. Call us today to start getting current listings or for more tips to sell your home fast! 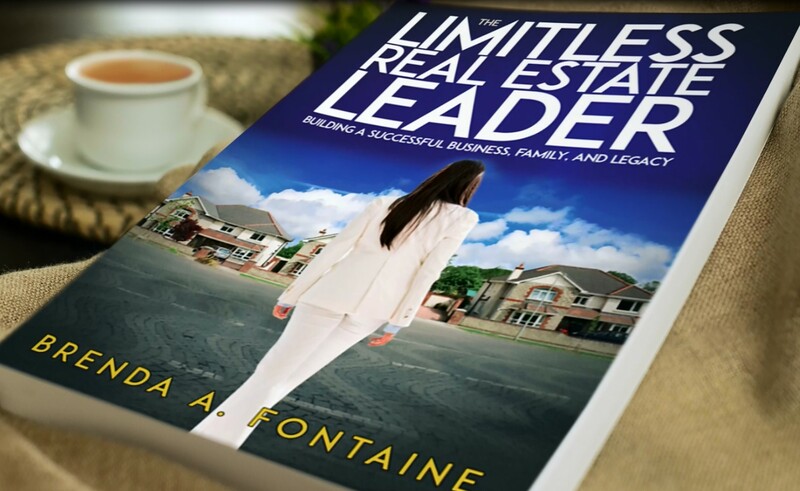 Read in-depth information of the trials, tribulations, and successes of the Fontaine Family in Brenda's book, "The Limitless Real Estate Leader". This inspirational book is available on Amazon or for a signed copy, visit thelimitlessrealestateleader.com.